As part of the 5 year Big Lottery funded project to foster peace between crop farming and cattle herding communities in North West Cameroon, Village Aid and our partner MBOSCUDA are conducting in-depth research into the people living in these communities. We want to find out about people who are often marginalised, and how we can ensure they are not left behind in our collective efforts for peace and prosperity. The voices of people living with physical and mental disabilities often go unheard in North West Cameroon. MBOSCUDA have therefore made a concerted effort to find out the number of disabled people living in the communities we work in, how their disability affects them and what we can do to help. Five year old Tawah Godlove was born with no legs (pictured below). Tawah’s father also suffers from physical disabilities and is unable to speak. He carries Tawah to school every day, but his disability means that he needs to rest when he gets home. Tawha’s mother is a subsistence farmer and has sole responsibility for supporting the whole family. This can be a real struggle for her. She says that Tawah is very bright at school but fears that his disability will prevent him from security a good job. 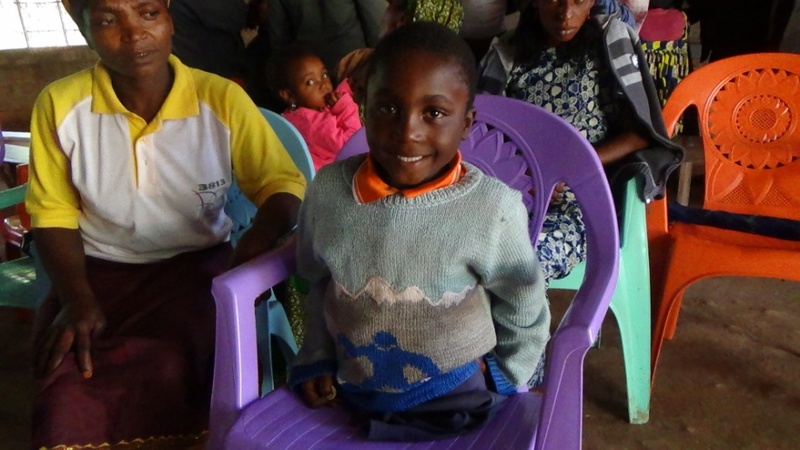 Tawah’s mum hopes that one day he will be fitted with artificial legs. 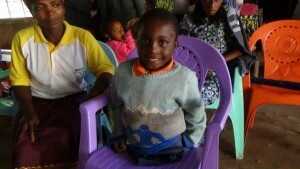 In Ahsong district, ten year old Nafisatu Yaya (pictured below) is disabled from the waist down. She was born without disability but a childhood illness resulted in lasting leg paralysis. 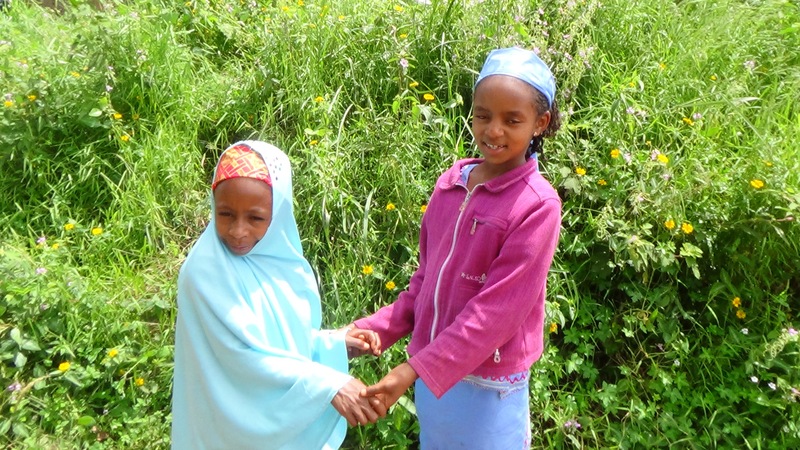 Her disability has led to very low self-esteem and Nafisatu struggles with shyness at school. Now that MBOSCUDA and Village Aid are aware of the needs of people who may have been marginalised, we can start to consider how we can ensure they are included in the development process.